The question that everyone wants to know is how to win the Euromillions. As with any lottery, there’s no tried and tested way of going about it. If there were, the rules would have been changed because a lottery is supposed to be random. At 117million to 1, the odds of success are pretty long. Whether you stick with your “lucky numbers” or if you change each week, your chances of winning won't change. What you can do is increase your chances of scoping more money when smaller prizes are dished out. In a lot of cultures the number 7 is considered lucky. If you select 7 on your Euromillion ticket and your numbers come up, you’ll be sharing the winnings with a lot of other players. The opposite is true with the number 13, as players don’t chose it because they believe it’s unlucky. If you pick 13 and your numbers come up in the draw, there will be less people to share the winnings with. Using family birthdays as a reason for picking a number or number sequence means that players tend to favour the numbers 1 to 31 as they represent the days and months of the year. If you avoid selecting too many of these numbers, and you end up a winner, you should be sharing the winnings with less players. Buying your tickets online should mean that you never miss a week of the draw even when you’re ill or on holiday. 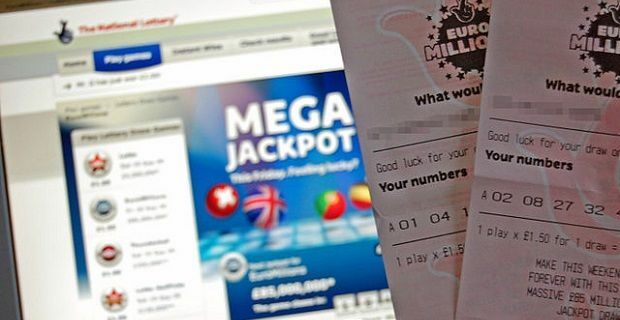 This last point won’t help you find out how to win the Euromillions, but it will make sure you can get access to your ticket if your numbers come up. Finding out how to win the Euromillions shouldn’t be something that you obsess over as there’s no real trick to it. Playing the lottery should be fun and you can take a lot of fun out of any game by taking it too seriously and trying too hard to win.